Go Kayaking! 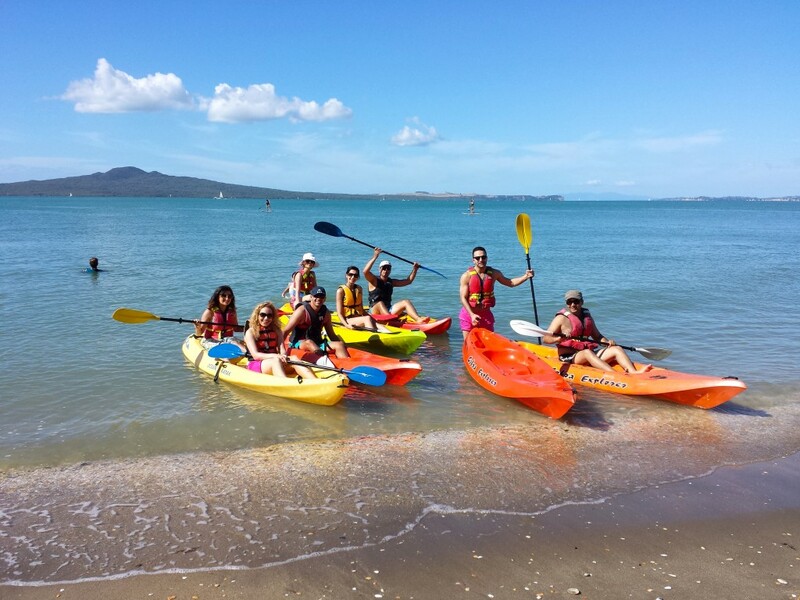 A great range of sit on top kayaks are available at Mission Bay Watersports. Sit on tops are safe and easy for everybody to use – even if you have never kayaked before. Wetsuits are included in the price for all those that wish to use them. Lifejackets are provided for everyone. Keep active, enjoy the unique views from the bay and have a great time paddling at Mission Bay! ‘Away hire’ also available – just pick up and take away to use in another location. Athletic clothing – this includes quick dry items and/or swim suits. NO DENIM! Heavy clothing, such as denim jeans, are not allowed for any watersports rentals. You may also wish to bring a towel and dry clothing for after. No online bookings available. Only drop in bookings and subject to demand. *Off-peak rate. Price is ‘per day’. Applies on weekdays or hire period more than 5 days. **1/2 Hour Rates only available during summer season December-March.